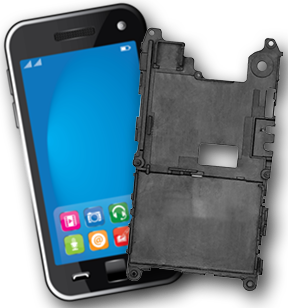 With a pressing need to stay ahead of the competition in a rapidly evolving industry, a global leader in high-tech consumer electronics approached PlastiComp with a compelling opportunity: to make a mobile phone lighter by substituting a metal bracket with one made of plastic. Our experts found the challenge especially interesting, since electronic parts have requirements — other than physical construction and strength — that are often incompatible with plastics. These include electromagnetic interference (EMI), shielding and “on the air” (OTA) testing and meeting measurements of total radiated power (TRP) and total isotropic sensitivity (TIS). The consumer-electronics giant knew our engineers would understand their project’s complexity. They also knew that we would work to achieve a unique combination of physical, mechanical and electrical properties, as well as a manufacturing process suited to the scale of production. 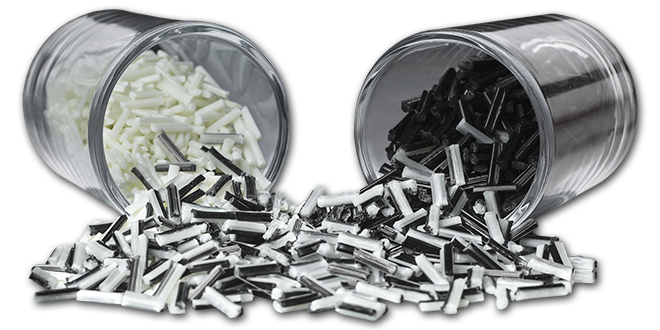 We compounded several carbon-fiber reinforced thermoplastics loaded with varying levels of CNT additives, knowing that these highly viscous materials do not lend themselves easily to dispersion in plastics and long-fiber thermoplastic (LFT) processing or molding. However, we also knew that a reliable and standard manufacturing method such as injection molding would be essential to meeting the manufacturing requirements.Positioned at the cutting-edge of technological developments, PlastiComp engineers investigated the suitability of novel technologies, such as the inclusion of carbon nanotube (CNT) additives in plastics to boost mechanical and electrical properties. To develop this new approach, we collaborated with the industry-leading, global manufacturer of CNT, as well as top materials scientists at major universities who are at the forefront of CNT product development. Our focused and collaborative work yielded an LFT injection-moldable, carbon-fiber reinforced thermoplastic. 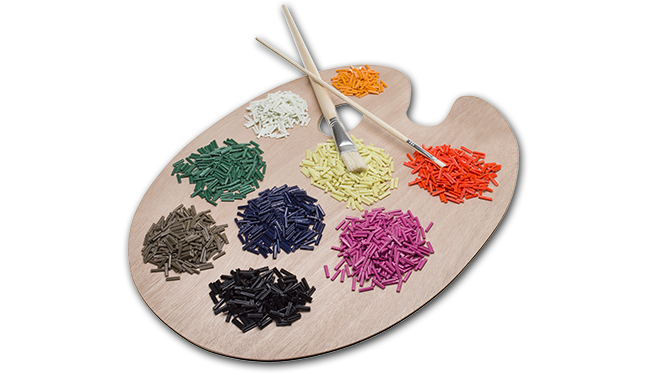 With varying levels of CNT additives, the result — painstakingly tailored to the opportunity at hand — perfectly met the mechanical and electrical specifications that the application demanded. The resulting mobile-phone bracket was lighter than one manufactured with magnesium, and yet retained the electrical properties of metal, which was essential to this application.